Why shine when you can glow with Olehenriksen – natural skincare brand. – Art, Food, Travel and Fashion! 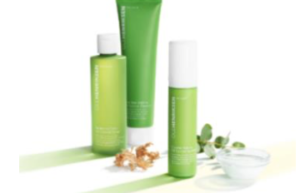 Why shine when you can glow with Olehenriksen – natural skincare brand. Ole Henriksen is the natural skin care brand that was introduced to the beauty market decades ago by skincare expert Ole Henriksen now is relaunching in UK with exiting new collections. Created to help achieve a true mind/skin balance, this collection controls oil and refines pores without stripping the skin. Addressing two of the top five skincare concerns – oiliness and pores – Balance effectively addresses these topics and reduces shine, minimises pores and evens skin texture for a matte, healthier-looking complexion. 0le Henriksen created the Nurture Collection to intensely do just that – nurture even the most dry and sensitive of skin. Ole was inspired to create Nurture after seeing many clients at his celebrity spa with dry, dehydrated and sensitive skin. With a multi-vitamin blend to nourish, botanical oils including sunflower, rosehip, moringa and borage to help hydrate and chamomile, cucumber and aloe to help soothe, Nurture deeply moisturizes and reduces visible redness, giving even the most dry and sensitive skin the love it deserves. Ole Henriksen introduces Transform PLUS Glow CycleTM Retin-ALT Power Serum and Transform PLUS Goodnight GlowTM Retin-ALT Sleeping Crème, two advanced new formulas that let you say hello results, goodbye retinol! With new super-ingredient bakuchiol, a natural retinol alternative derived from the Ayurvedic babchi herb, these formulas offer exceptional age-fighting benefits, all without retinol. Ole also combined bakuchiol with powerful AHAs and botanical ingredients to create two products that compliment each other for day and night. Ole Henriksen created the Truth Collection for everyone who is looking for brightening, anti- aging and all-day hydration. Suitable for all skin types, the Truth Collection is powered by Vitamin C. Ole touts Vitamin C as the gold standard for anti-ageing and with Truth, you can incorporate Vitamin C into every step of your routine and at every level – from cleansing to treating.